Institute of Public Health, Jagiellonian University Medical College, ul. Lentza 6 M 17, 31-312 Krakow, Poland. 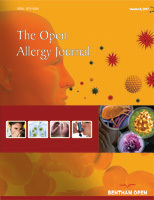 Contact allergy (CA) is alteration of immune response with readiness to develop an inflammatory reaction against a specific substance of low molecular weight (hapten). The prevalence of CA is estimated at 26-40% among adults, and 21-36% children. A proportion of people with CA will remain asymptomatic, among the rest, the most frequent clinical manifestation is allergic contact dermatitis (ACD) with lifetime prevalence estimated at 10%. Less frequent manifestations include allergic contact stomatitis, conjunctivitis, vaginitis, systemic reactions, implant intolerance, and rarely urticaria, asthma, and allergic rhinitis. Patch test (epicutaneous test) is the gold standard in the diagnosis of CA and ACD: Performing the test significantly increases probability of accurate diagnosis, reduces costs of treatment, and leads to improved patients’ quality of life. Patch test results may be influenced by patient’s medication and health status, and interpretation requires due knowledge and experience. Other diagnostic methods are more laborious and not validated; no in vitro tests are available for routine application at present.